Continuing Care Retirement Communities (“community”) are long term care living communities that provide three levels of progressive care: Independent living, Assisted living, and Skilled Nursing Care. These communities are ideal for seniors who suffer from a progressive illness. Typically, a senior enters at the Independent living level and relocates within the same community as their care needs increase. These communities are ideal for senior citizens in a variety of ways. First, this arrangement allows married couples to stay together even if one spouse requires significantly more care than the other. Second, this arrangement allows senior citizens to remain in the same community despite the increases in their care needs. This consistency creates comfort, stability, and familiarity at a time when the aging senior’s health causes them great concern and uncertainty. 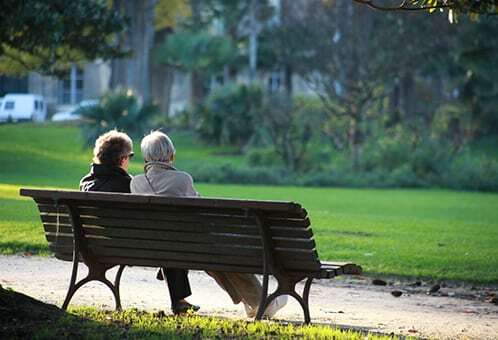 Before a senior can move into a community, the staff is required by New Jersey statute to interview the prospective resident, their family, and/or guardian. This interview helps the prospective resident decide whether the community is the right fit for them and helps the community understand the prospective resident’s goals. During this interview, the prospective resident should inquire into the community’s policies, fees, services, criteria for admission, policy for discharge or eviction, security provided, resident’s travel options, religious preferences, resident transfer policy, what health care services are provided, and most importantly the resident’s rights as a resident. See. NJAC 8:43-4.12(a). Typically, this information is included in the community’s disclosure statement. After this interview, the community conducts a one on one evaluation with the prospective resident. The purpose of this evaluation is to determine which level of care the prospective resident will need upon entry. If a prospective resident has any concerns about the community’s policy, admission contract, or their payment options for the community, we recommend contacting an elder law attorney familiar with this particular community.